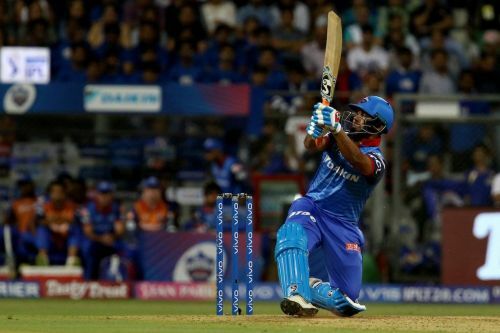 The new-looking Delhi Capitals on Sunday started the Indian Premier League campaign on an excellent note as they demolished a star-studded Mumbai Indians side in their first match at the Wankhede Stadium. The tourists after being asked to bat first started miserably, losing opener, Prithvi Shaw and captain, Shreyas Iyer within the first four overs. However, Shikhar Dhawan and Colin Ingram did the recovery job. The duo forged a much-needed stand of 81 runs. After Ingram departed for 47 runs, Rishabh Pant joined Dhawan at the crease. Known for his unorthodox batting, the wicket-keeper batsman started playing his shots. He never looked back after sending a few balls out of the park. Pant went after every Mumbai bowlers including their spearhead, Jaspirt Bumrah. He smashed seven fours and as many sixes in what turned out to be his best IPL knock till date. Pant completed his half-century in 18 balls, which was quickest by an Indian for Delhi Capitals. He finished up with 78 runs in 27 balls and steered Capitals to the mammoth total of 213 runs. In reply, the hosts didn't find the boundaries early on and lost the skipper, Rohit Sharma, in the fourth over. The wickets kept falling but Yuvraj Singh showed some resistance and scored a gutsy fifty. With the help of three sixes and five fours, he made 53 runs in 35 balls. However, that was no way enough for Mumbai Indians to cross the line as they fell short of the target by 37 runs in the end. Meanwhile, Pant, who played a knock that fans won't forget for quite a long time, undoubtedly was the player of the match.